Our Static Cling Etch film SCF45450-E1 is the newest addition to the expanding line of Styletech Brand etch films. Static Cling Etch can be used an any smooth, non-porous surface and installs in minutes. This film will look great for years, is easy to clean and is fully removable and reusable. 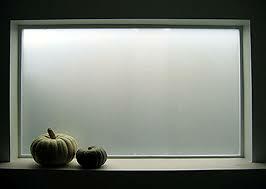 Static Cling Etch is like real etch in that it improves privacy and security while allowing natural light to enter. More than 90% of UV rays are filtered, protecting carpets and furnishing from fading while diffusing glare and softening harsh sun.